← A Matter of Wife and Death: Shining City and Molly, reviewed. Did you happen to notice that the 12-year interval between The November Man, which I review for NPR today, and Brosnan’s final appearance as James Bond, 2002’s (lousy) Die Another Day, matches the span of time that elapsed between Sean Connery’s final “official” Bond performance, in 1971’s (lousy) Diamonds Are Forever, and his return in 1983’s out-of-canon Never Say Never Again? Well, I did. I also note that it was during the Brosnan era (1995-2002) that the Bond flicks ceased to be early summer releases and started coming out in November. That’s got nothing at all to do why this thing is called The November Man, but it’s a better rationale than the one character actor Bill Smitrovich, whom I recall so fondly from Michael Mann’s 1960s-set 1980s cop show Crime Story, gets to articulate in the movie. 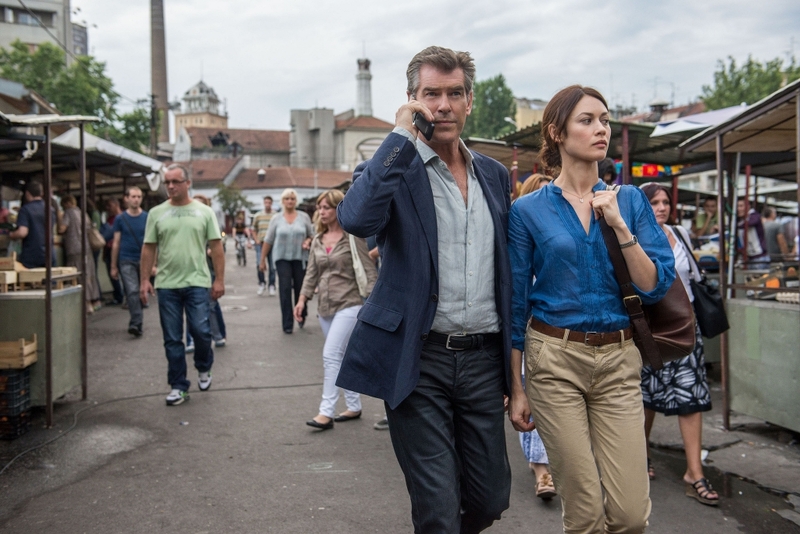 This entry was posted in movies and tagged film reviews, NPR, Olga Kurylenko, Pierce Brosnan, Roger Donaldson. Bookmark the permalink.